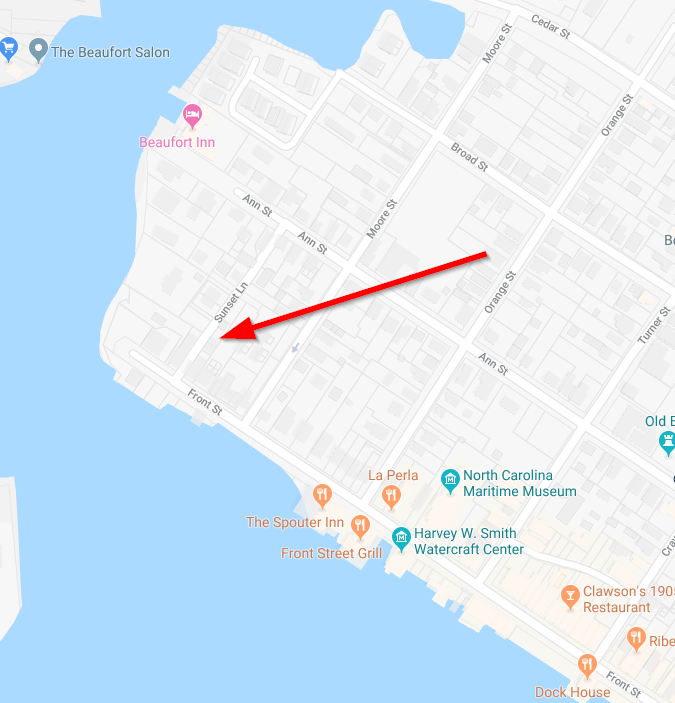 Beaufort town council has moved the height restriction for building from 35 feet to 40 feet and no one is sure how that happened. Now Margaritaville developers are asking to build a much taller facility. Beau Coast made bunches of promises before they started and it doesn't seem to be following the rules. Big money is taking over the best little town on the coast and politicians are accepting of these changes for some very strange reason.....wonder what that would be? where exactly is the margaritaville hotel going? Don't forget the construction of the steel framed, monstrosity behind the Manson hose at the eastern end of Front street. I believe that demolition of 1 or 2 historic buildings were done in preparation of building that thing. Looks like a d@mn parking deck. I wonder who's palms were greased in allowing that to happen?? In between Homers and Discovery Dive. I don't see it being successful at that location. Plus it is peacefully quite in that area now that the drawbridge is out. Isn't Moonraker higher than 40 ft? What was the story with that? Some people welcome the development for bringing in money. I sure hate to see that special little area get over commercialized. Now is the time to get active if you care about the future of Beaufort. Beau Coast and Front Street Village kinda just happened with little push back. But it almost didn't matter as that area is far enough from Beaufort proper that folks moaned a little but didn't seem to care. Now Moonrakers has been allowed to build a wholly inappropriate and utterly out of scale building. Currently the Owners of 411 Front Street (Fudge Factory Building) are requesting massive changes to the building. The drawings are comical at best and again are wholly inappropriate. Several years ago the Owner of the Aqua Cat was allowed to convert a commercial building to a private residence in a purely commercial district. Same guy was also allowed to tear down a fairly interesting cedar sided home to build an insanely out of proportion concrete and steel structure. Now, a Jimmy Buffet resort? Reduce height restrictions? Seriously, take a look at what draws you to Beaufort and what you love about it. I would bet it has nothing to do with chain resorts, modern Mcmansions, buildings built as tributes to one's self, cookie cutter homes, Boutique Hotels, or resorts of any kind. There are plenty of those as close as Wilmington and even more available in Virginia Beach or Myrtle Beach. I am shocked and disgusted at some of the changes being allowed and being considered in Beaufort. Harkers is suffering from about the same thing, a Dollar General ( or another Dollar something) is being built on the island what is next a Holliday Inn? Ken T, ADAM87 and seawitch123 like this. Even the Rodanthe Waves and Salvo area is starting to change....Dollar General and Amusement Park Bldg in last couple of years, plus lots of new homes going up. Coastal NC markets are booming right now I just hate to see it. Hello, they're building ON the island? where?!?! I know there's one right up the road on 70. Those Dollar Stores may do more harm than good. Lots of cheap stuff, but they can put the local shops out of business. Nothing gives Commissioners a hard on like the prospect of tourism tax money and large business opportunities. It has destroyed nearly every attractive area known to man. Want to see a real sh!t show....look at the Keys where locals are forced to leave in droves because of the lack of building permits and forced high wind construction criteria for those who try to rebuild after a storm...which drives prices to alarming rates but at the same time allow high density resorts and allow up to 10 "volunteers" to live in an actual shipping containers . Couple that with the "Tourist Development Council" whose main goal is to pack every last person on Earth down here every weekend. and...well....you get the point. Last edited by homeby51; 03-21-2019 at 05:56 AM. What is sad about this is all the residents that have had to follow all of the strict rules to maintain their homes such that each repair, update etc. is meticulously kept no matter the cost. Then someone with LOTS of money come in and rules be damned. Go ahead and build what ever you want, kick out long time vendors and now the town is turning into whatever it takes to bring in more money. The Commission allowed Moonrakers which is nothing like the rest of Beaufort. Big money is building a huge metal monstrosity for what looks like something in the big city and now Margaritaville wants to build a monster of a motel and bar 60' tall. 25' taller than what the rules were 3 years ago. Do y'all go to the city council meetings and tell them how you feel? Have concerns fallen on deaf ears? I keep hearing about the new residential monstrosity and I looked for it in the general downtown area last weekend but didn't see it. Where is it? It's on Sunset Ln. Just off Front St. on the far West side. At the town meeting for it's approval, everyone present, board & public alike, seemed suspect of the claims that it's a single-family home. Something like 9+ exterior doors on the back makes it design-wise looks more like a B&B. The town wasn't left with much to oppose it, the cedar shake house torn down was built in the late 70's and fell short of being historic and the regulation that would have gone with it. Thanks, I didn't go down Sunset. I've been wondering about that I seriously thought it was going to be a parking deck, but there are no car ramps. Any idea what is is? Big money from "off" is taking over all coastal NC & SC towns. It's a shame too.